An overview of LONGFONDS | Accelerate in the media. 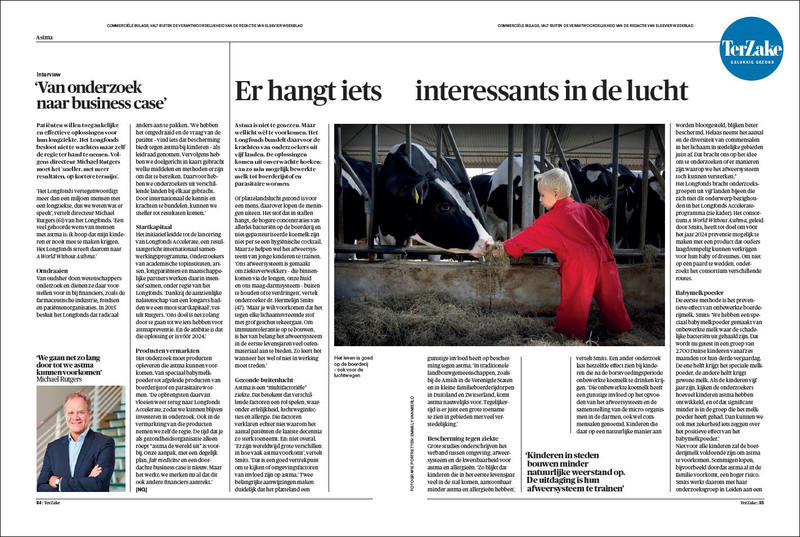 This December an article appeared in the Süddeutsche Zeitung (German) on the clinical study of the preventive effects of minimally processed farm milk (MARTHA-study) which is led by prof.dr. Erika von Mutius within the Asthma Prevention consortium. Interview with prof.dr. Hans Clevers in Elsevier (dutch) about bringing the solution for COPD closer by. An interview with dr. Hermelijn Smits in Trouw (dutch) on the connection between our hygiene and asthma and allergies. An interview with prof.dr. 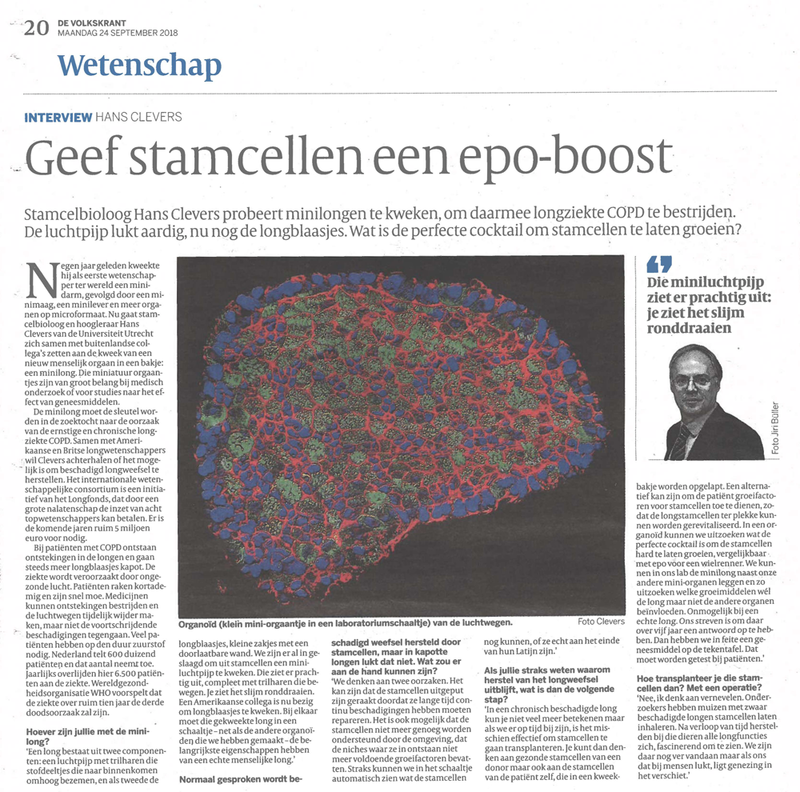 Hans Clevers in de Volkskrant (dutch), at the launch of the BREATH Consortium on Lung Regeneration. Interview dr. Hermelijn Smits on A World Without Asthma and Michael Rutgers on LONGFONDS | Accelerate (in Dutch). With a press release on Wednesday 13th of December, the Lung Foundation Netherlands announced the Accelerate programme. The news was spread through various channels, among which the largest news organization of the Netherlands - the NOS. See the NOS-item. The launch was also covered in other media, e.g.